In his definitive book, The Heritage of Reid, Shibu Dutta states that the ‘three major elements in the heritage of Reid are the garden-city approach, the importance of street landscaping and urban design, in addition to its historic inheritance’. 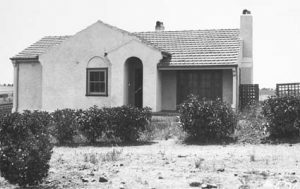 In recognition of its importance the Reid Housing Precinct was included on the Register of the National Estate on 21 October 1980 and is entered on the ACT Heritage Register (No. 20023 Reid Housing Precinct). for the social values associated with the retention of communal landscaped reserves and community facilities, whilst managing change to meet the contemporary requirements of residential usage. 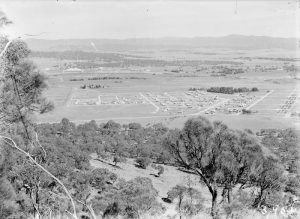 The area of the suburb that is heritage listed is Sections 15-18, Sections 34 – 38, Section 39 Blocks 3 & 5, Section 40 Block 1 and adjacent road reservations bounded by Anzac Park, Limestone Avenue, Allambee Street, Currong Street, Coranderrk Street and Booroondara Street. The Reid Residents’ Association seeks to retain and conserve the intrinsic features of this iconic heritage precinct. The Association sees that we have a continuing stewardship role. It is our hope that Reid residents and visitors, and those with a genuine interest in urban planning, may long continue to appreciate and enjoy the definitive character of Reid. The Heritage Act 2004 Is the legal framework for heritage management in ACT. This includes guidelines for the ongoing recognition, registration and conservation of the places and objects that have natural and/or cultural heritage and Aboriginal places and objects. The ACT State of the Environment Report lists 10 heritage-listed precincts on the Heritage Place Register in the historic/cultural category. 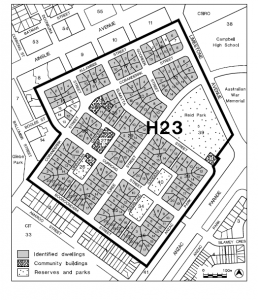 These include sections of Reid (the largest housing precinct), Wakefield Gardens, Corooboree Park, Barton, Braddon, Forrest and Blandfordia. These requirements have been identified to implement conservation objectives to ensure the retention of the heritage significance of the precinct. Heritage listing permits sympathetic development of heritage places through an approvals process. This process follows the usual development application (DA) process prescribed by the planning and land authority for any works or development requiring approval. 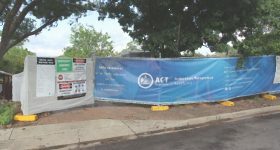 Free advisory service and conservation advice is available from ACT Heritage and the independent Heritage Advisory Service . There is also financial assistance via the annual Heritage Grants Program. ACT Heritage urges owners to contact them early in the process of any proposed changes as delays can occur when there are potential impacts on heritage significance. It is understood that proposed changes that negatively impact on heritage significance will only be permitted where it is proven that there is no prudent or feasible alternative. The ACT’s brochure provides very useful information on plant species compatible with garden styles for the time that the majority of the gardens in Reid were established. Please note the section on ‘Weedy Heritage Species’. While many of us no doubt grew up with some of these plants, and may even feel quite sentimental about them, they are now listed as weeds, either in ACT and/or on the national Weeds in Australia website http://www.environment.gov.au/biodiversity/invasive/weeds/. Blue Periwinkle (Vinca major) – see www.environment.gov.au/cgi-bin/biodiversity/invasive/weeds/weeddetails.pl?taxon_id=14689). The website links for each of these invasive plant species explains in no uncertain terms why these plants are an issue. Basically, such weeds cause serious environmental damage and can be poisonous to livestock. It’s important to make sure seeds or viable pieces of these weeds do not get into street gutters and thereby into ACT waterways. Once in our waterways they can be distributed into Murrumbidgee River system and continue to invade farmland and natural habitats. Of course, if you feel really enthusiastic, replacing any of these weeds with equally authentic heritage and certainly more environmentally sensitive plants is an excellent idea.